H σλοβάκικη ESET, η διάσημη εταιρία κατασκευής λογισμικού ασφαλείας, ζήτησε από τους Βούλγαρους της Vilner να της δημιουργήσει ένα promo αυτοκίνητο το οποίο θα βρίσκεται στην Παγκόσμια Διάσκεψη Λογισμικού. Studio Vilner ventured into the world of the software companies. The team did it safely, confidently and noticeably. The studio asserted itself by the preparation of the next cult project of ESET Bulgaria, and proved that company cars can be also upgraded. 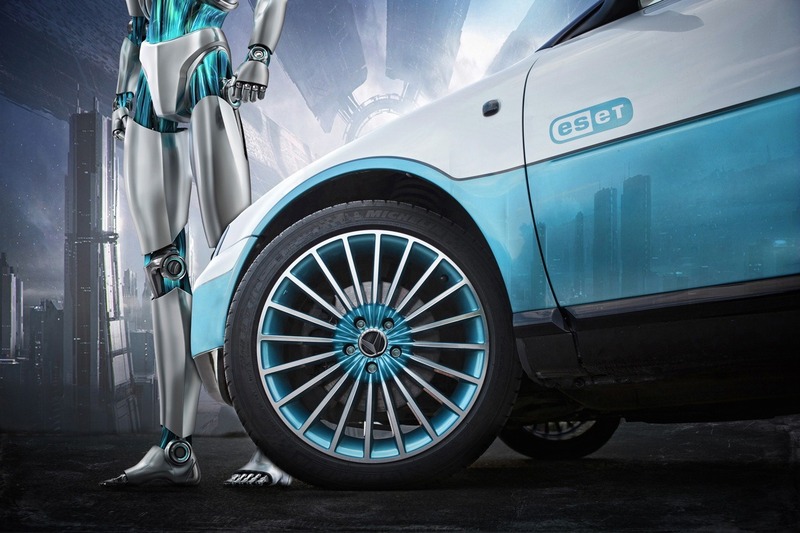 For the upcoming Software World Conference, where the companies present their new products, ESET Bulgaria decided to show also the company’s promo car. The car is an Audi A3 and it spent two months in Vilner’s studio. ESETs wish was that the corporate colors are kept on the car. It started with a design project of the exterior and interior. In the course of the work, all the modified bumpers were removed – the aim was to keep the vision of the A3 at the maximum, so that the emphasis remains largely on the colors and some elements of the exterior. The main color of the car body is pearl white with gray-blue nuances. Red and turquoise were used primarily for the accents. The rims are new – MAK 17 “, and were also precisely lacquered in white and turquoise. The ESET logo appears on the front doors. The decorative grid in blue catches the attention to the new Hella headlights, the original stop lights were replaced by new InPros. 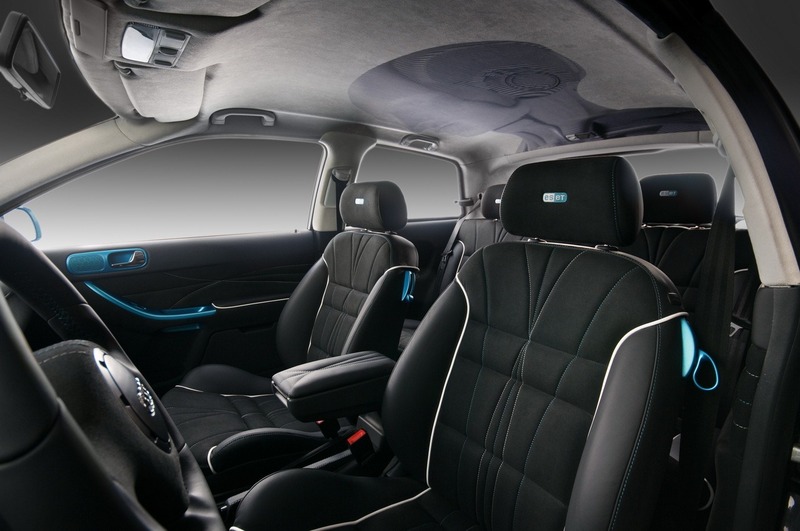 The interior reflects Vilner’s typical way of working by individualizing and was again guided by the idea of ​​a company car. 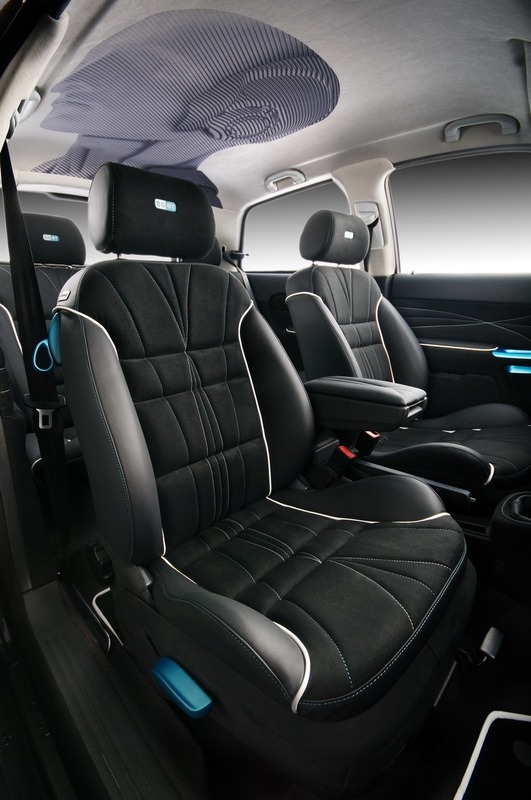 High-quality Nappa leather and Alcantara were used. The main color inside is black. Decorative white edges emphasize the seats and inlaid mats. 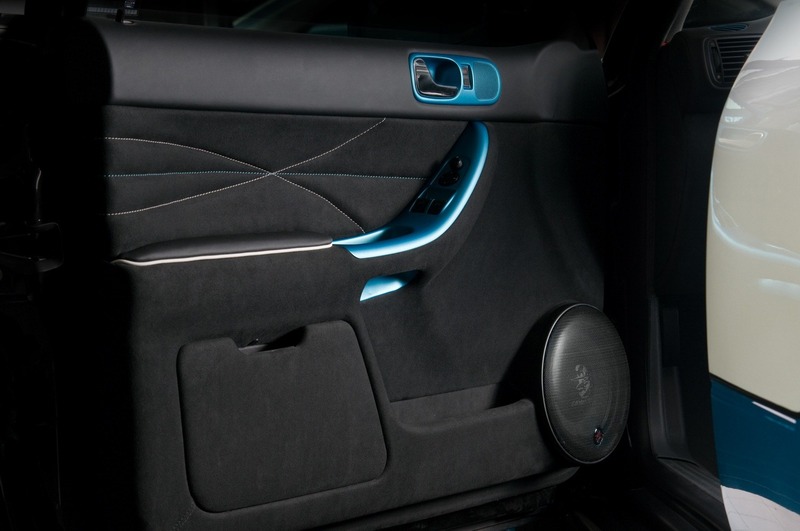 The dashboard was also covered with Nappa and Alcantara and enriched by a precise turquoise seam. The steering wheel was given a new and ergonomic design, both handmade. 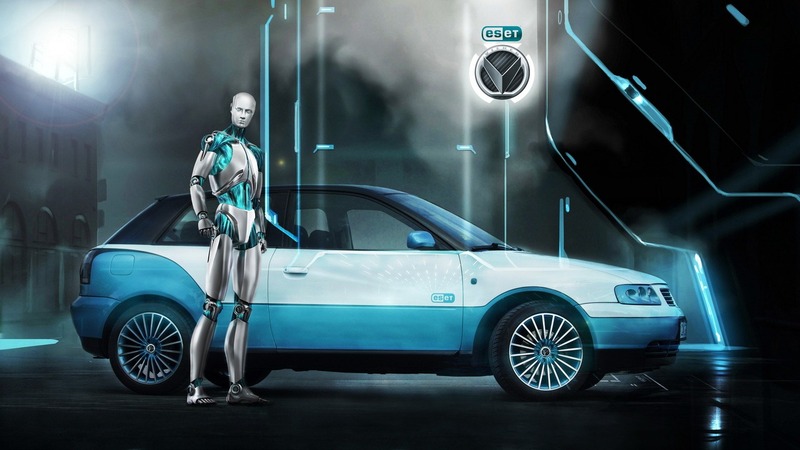 The seams on the seats, the car door and inside the trunk do reflect the elements of a robot – the symbol of ESET. 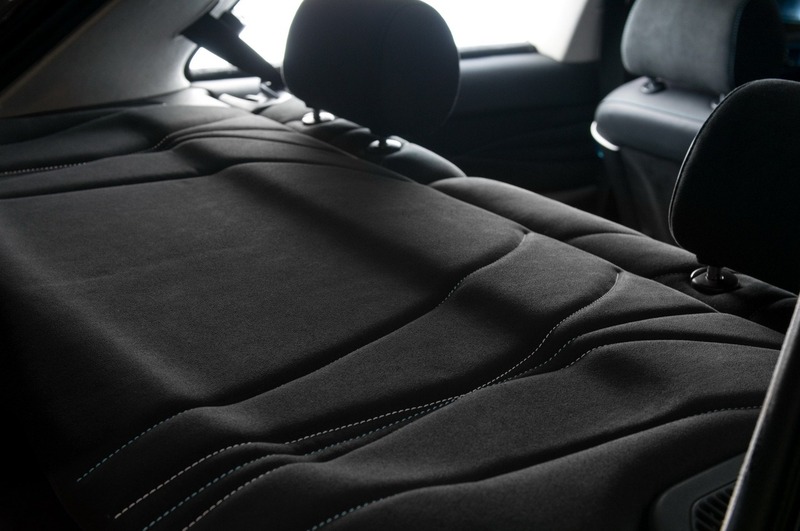 The same is printed on the bright Alcantara headliner. The cushions are embroidered with the ESET logo. The speedometers are new, and are on company’s colors. Samsung Android Galaxy was installed in the middle console, playing the role of a mobile office – it also shows the mapping of the front and rear camera. The metal was painted with matt turquoise, but purposely – it corresponds with the door elements, the gear change, and the dash air vents. 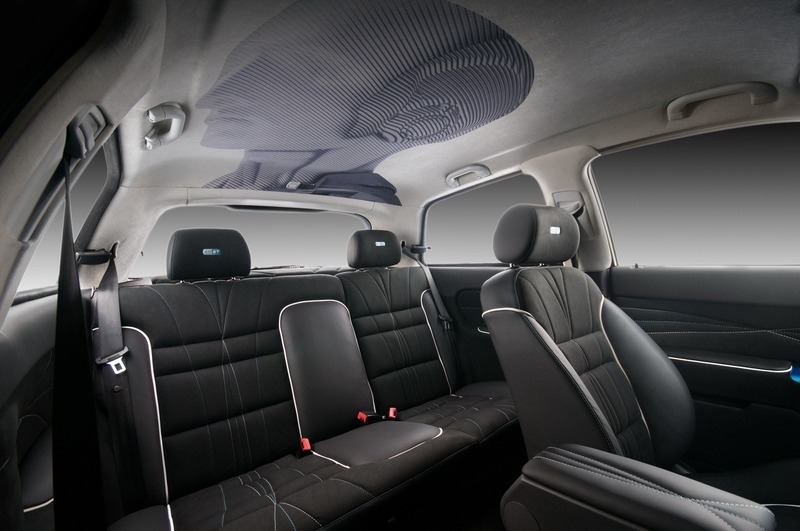 The car body was also isolated and soundproofed, ensuring the full enjoyment of quality music Ground Zero and AudioSon processor. 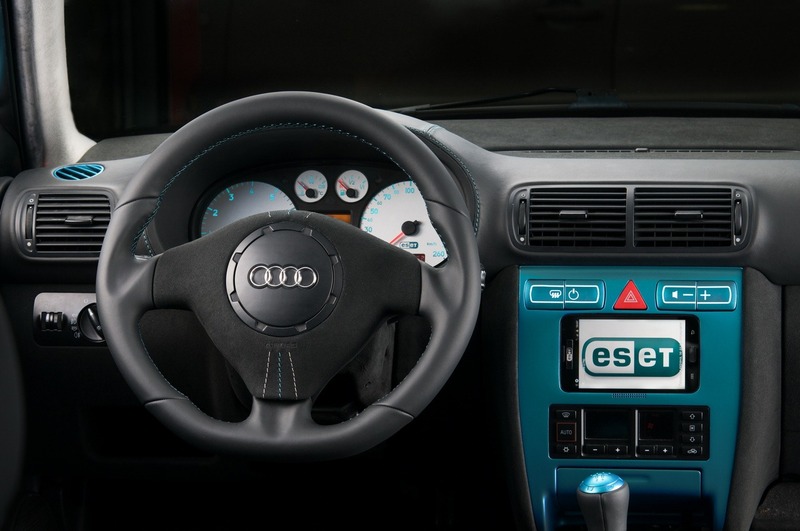 Audi A3 is therefore now an esthete!